The Broadway hit brings audiences favorite hits from the '60s from artists such as The Beatles, The Rascals, The Turtles, Motown, The Four Seasons and more. They took Broadway by storm in one of the biggest hits of all-time. 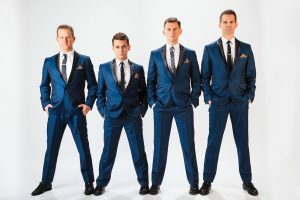 Now on their eighth national tour, The Midtown Men are bringing their magic to audiences everywhere, singing their favorite “Sixties Hits” from The Beatles, The Rascals, The Turtles, Motown, The Four Seasons and more.